David Shillinglaw is a British painter and muralist, known for his works which explore human nature, success and failure, and language people use in the context of their experiences. Born in Saudi Arabia to British parents on December 12, 1982, David grew up in London. He was interested in art since childhood, as he used to doodle and draw his favorite cartoon characters all the time. Soon he realized that a career in art is the one he needs to pursue, and he started his education at Central Saint Martins in London, eventually graduating from it in 2002. The comics and cartoons were Shillinglaw’s earliest influences, and they continue affecting his style to this day. His art also draws from Ancient Egypt, and he appreciates children’s drawings, as he thinks that children have a completely different perspective on the world that adults do. Another thing that dictates David’s style is the medium he uses. Shillinglaw often changes his mediums, as he believes that fresh new ideas come from the constant growth and development of his artistic expression. He sees his body of work as a whole, with each new piece only adding to it. 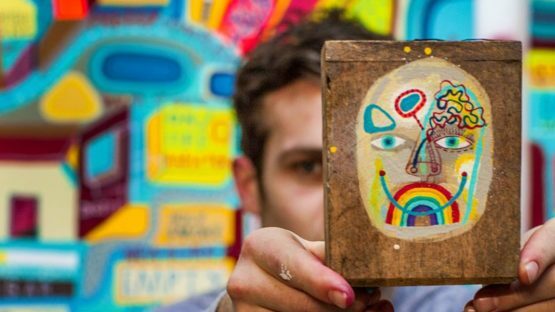 When painting, David Shillinglaw taps into his past experiences and travels in search for inspiration. He draws from the places he visited, people he met, and most importantly – times when he got lost. Losing oneself is a great motivator for David as an artist. While we are finding our ways back to safety, we are also finding our true selves, thus growing and really knowing the beauty of life and the world around us. Language here plays an integral part of the whole experience – if we don’t know it, then we reach for the more abstract ways to communicate in order to be found again, which is the point of the entire process. Shillinglaw’s work moves between studio and street. For him, walls provide an artist with a chance to remove all the constraints that a studio imposes. Many things can go “awry” when painting murals, which only contribute to the process of producing art. Throughout his career, David had a chance to work with some of the most prominent names of urban art. He participated in a group exhibition, Art for Haiti ,in 2010, alongside such names as D*Face, Remi Rough and Pure Evil, to name a few. He also assisted Dalek during his residency in 2009 at Elms Lester. 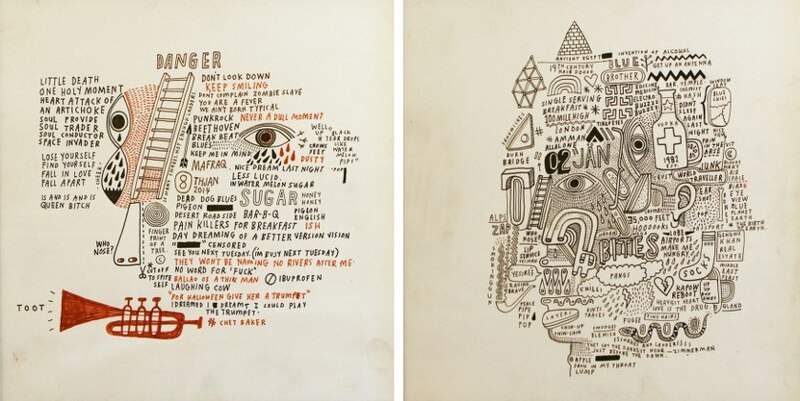 Shillinglaw has exhibited his work in numerous galleries across the world, in cities like Berlin, New York, and his hometown, London. He was featured in A Short and Pleasurable Journey, a group show organized by the Vertical Gallery in September, 2015. His most notable one-person exhibition was set up by Scream Gallery in London. Titled You Are Here, the show took place in April, 2015. It was a sort of documentation of the artist’s journey – both literal and figurative. The visitors were even given maps, and although the paintings displayed were about David and his experiences, every visitor could find a piece of themselves in his works. The British artist is now represented by the Vertical Gallery in Chicago. 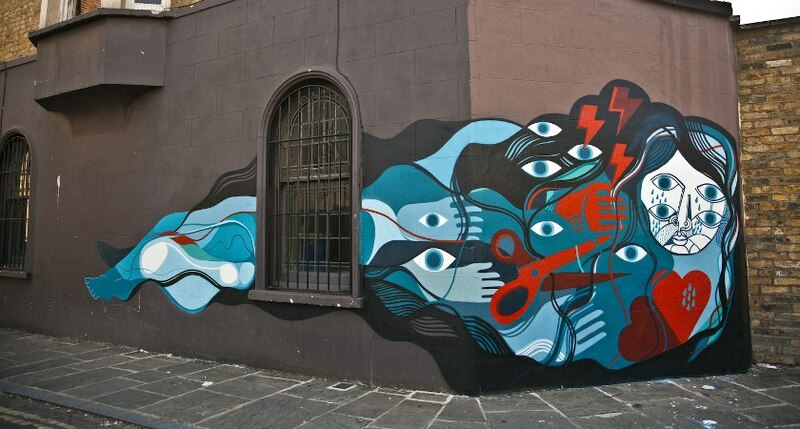 David Shillinglaw resides and creates in London.